Private weather forecasting agency Skymet on Monday said the southwest monsoon this year had a 50 per cent chance of being “normal”. This early forecast was based on the data about weather patterns available till end-January, said Skymet Chief Executive Officer (CEO) Jatin Singh, adding that it would be updated in April when more data is available. “Forecast made in early April is based on patterns observed till end-January. So, instead of waiting for April, we decided to release the forecast in February itself,” Singh said, when asked about the time of the forecast. The state-run India Meteorological Department (IMD) is expected to release its first forecast in April. A normal monsoon will augur well for the country’s agriculture sector and boost crop yields. However, much will depend on the timeliness, spread, and distribution of the precipitation in the critical rain-fed areas of the country. Good rains — and surplus crops — could also depress prices, hurting farm income, unless adequate steps are taken. 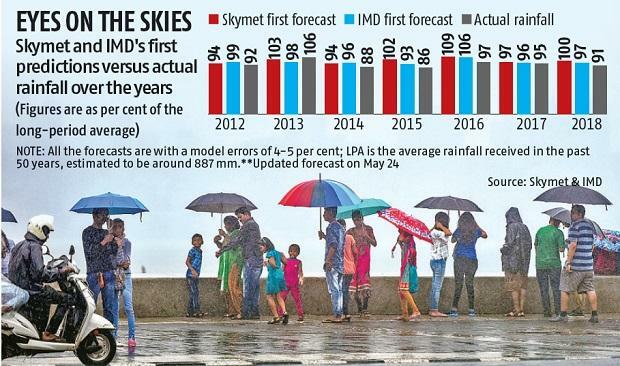 In 2018, Skymet had released its first forecast in April, which said the rains would be “normal”, at about 100 per cent of the long-period average (LPA). The LPA, average rainfall across the country from 1951 to 2000, is estimated to be 89 cm. The forecast had a model error of 5 per cent. After insufficient rains in August and September, Skymet lowered its forecast to “below normal”. The IMD had forecast that the rains in 2018 would be “normal” at 97 per cent of the LPA. “There is zero chance of rainfall in 2019 being excess or deficient,” said Skymet CEO Singh. Since 2015, the IMD had stopped using the word “drought”. Now, if the cumulative rainfall is below 10 per cent of the average, it is called a “deficient” monsoon year. 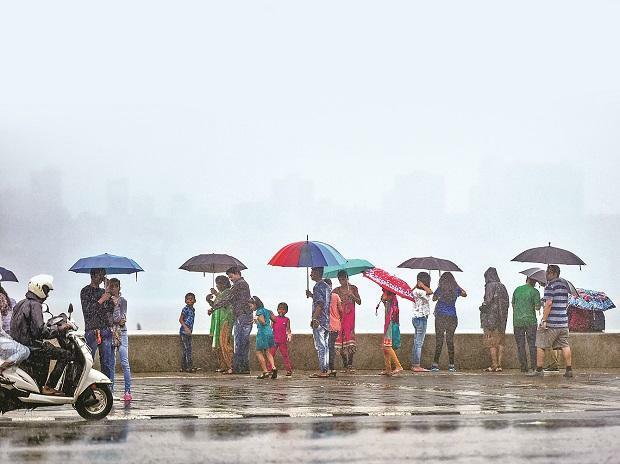 Skymet said the El Niño phenomenon, which is a key determinant of the monsoon’s performance, would possibly devolve by the time the rains arrive in June. G P Sharma, president, meteorology and climate change, Skymet, said there was a big possibility of the monsoon being towards the lower end of 96-104 per cent of the LPA.